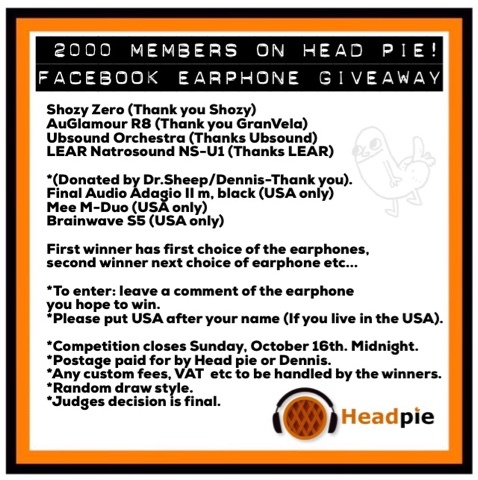 Head pie giveaway to celebrate 2000 members on Facebook. you hope to win. (on the Facebook Head pie group). *Please put USA after your name (If you live in the USA). *Competition closes Sunday, October 16th. Midnight. *Postage paid for by Head pie or Dennis. *Any custom fees, VAT etc to be handled by the winners. EDIT: USA/Canada. *(Donated by Dr.Sheep/Dennis-Thank you). Thank you. Send us an email If you require further information.